Communicator of the Year (COTY) Award. 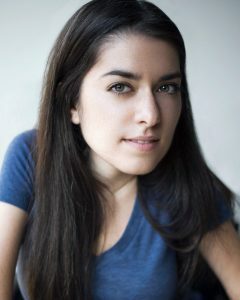 Maayan’s in-depth understanding of the barriers that people with disabilities face to achieving equity and inclusion, paired with her background in media studies, is the unique combination that led to the viral success of AccessNow, a mobile app launched in 2015 that invites people of all abilities to contribute accessibility information about places around the world. She is redefining what the next generation of socially conscious entrepreneurs can stand for, and building a movement where everyone’s voices can be heard. To hear from our judges and Maayan, click here.